The phrase "making a name for himself" became a cliche long ago, but it's nevertheless easy to overlook just how much an NBA athlete relies on his name for recognition and career-building. Although increased media coverage means that many fans may see a player in highlights before they learn who he is, a name still carries various associations. When someone says "Michael Jordan," it brings to mind a host of moments, accolades, and opinions. This point isn't particularly novel, of course — we all know what names are — but it helps communicate the presumed permanence of a name. We remember it as shorthand for everything contained within a single individual. People don't switch them up unless they have very good reasons. Last month, Pendergraph walked into a courthouse in downtown Phoenix, his wife Raneem and newborn daughter Naomi in tow. He walked out with a new name — Jeff Ayres. McDonald adds that the two Ayres men are still working on building a more substantive relationship, but this decision still stands as the act of a new father attempting to reconcile his past with his entire family's future. It's a touching story in part because it's not yet finished — the name change isn't the conclusion, but something closer to a progression of what will likely be a lifelong process for Ayres, his wife, and his daughter. As noted by Ben Golliver at The Point Forward, the switch will be most apparent for fans when they read the lettering on the back of Ayres's jersey, which will go from an 11-letter, heavily arched curiosity to a shorter, more manageable five characters. 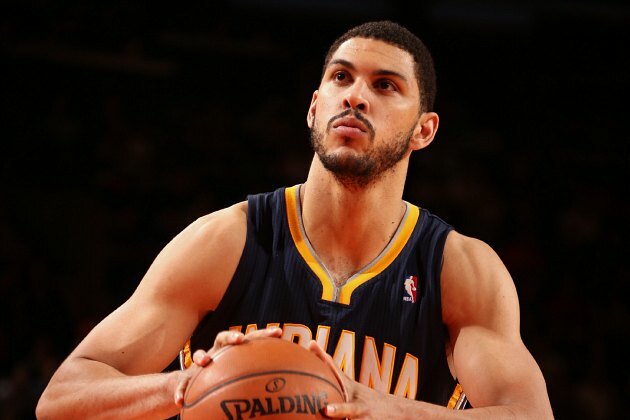 There's also the matter of getting used to calling him Jeff Ayres, naturally, but that doesn't seem so daunting. I think he can vault ahead of this Louisville therapy center and this political science professor in internet search results. BDL will do its part to help fans during this transition. We wish the Ayres family the best, as well.